Work for a company that encourages employees to give back. The corporate world and volunteer work are often viewed at opposite ends of the spectrum: corporations stand for profit, whereas, volunteer work is all about selfless giving. Yet, increasingly, we are seeing the two are not mutually exclusive. CECP, a nonprofit formerly known as Committee Encouraging Corporate Philanthropy, reports that 61% of companies provided paid time off volunteer programs in 2016—up from 59% three years prior. The report is based on data from 235 participating companies. With corporate volunteerism on the rise, the big question is: For institutions whose viability and growth depend on profit (i.e. corporations), why then would they choose to spend time, money and energy volunteering? 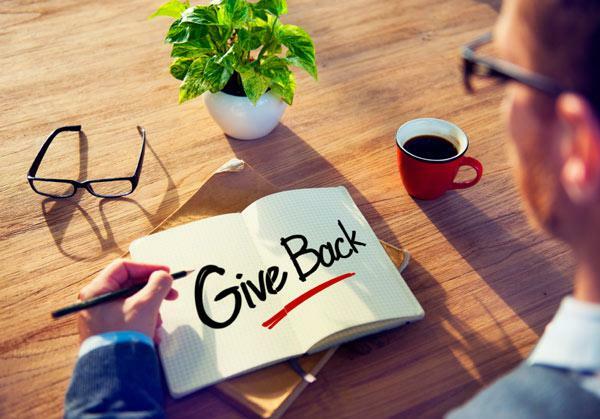 The benefits of corporate volunteering extend far past the intrinsic act of giving back. In reality, companies spend time volunteering for a variety of reasons, many of which are geared toward promoting their image and reputation, which ultimately helps drive profits and ensure sustainability. Both internally and externally, it’s a win-win when companies volunteer. To name just a few, companies that volunteer see an increase in employees’ loyalty and brand buy-in, improved leadership and team-building skills, and ultimately, a better retention rate. A study conducted by Cone Communications found that employees who are very involved in their company’s volunteer program are 28% more likely to be proud of their company’s values, as well as 36% more likely to feel a strong sense of company loyalty than those who are not involved. A UnitedHealth Group study found that 87% of people who volunteered in the last year said that volunteering had developed teamwork and people skills, and 81 percent agreed that volunteering together strengthens relationships among colleagues. Hasbro, Goldman Sachs Group, Inc. and Timberland are a few of the many corporations that have implemented volunteer paid time off policies. Patagonia, a clothing company that promotes an environmentally-friendly brand, invites employees to take part in their Environmental Internship Program, allowing participants to volunteer with an environmental group of their choice for up to two months (all while still receiving regular pay and benefits). Employees volunteer in places like Hawaii, Casco Bay on the coast of Maine, and yes, Patagonia in Chile. Public image? Check. Brand buy-in? Check. Professional development in some of the world’s most beautiful places? That too. Talk about a good gig. It’s easy to see why employees want to stick around. On the other side of things, companies like A Billion + Change, Points of Light and VolunteerMatch make it their mission to facilitate corporations organizing volunteer work around relevant and important causes, offering set programs, campaigns and other resources. The benefits of working for a company that gives back are endless. Not only will you develop additional skills, but you'll also be making the world just a little bit better—everyone's a winner! Are you interested in working for a company that pays you to volunteer, but aren't sure where to start looking? Join Monster for free today. As a member, you can get job alerts sent directly to your inbox so you can be among the first to apply when an awesome company has open positions. Additionally, you can upload up to five versions of your resume—each tailored to the types of jobs and companies that interest you. Recruiters search Monster every day looking to fill top jobs with qualified candidates, just like you. Your job can mean more than just a paycheck. Use your talent to make a difference.